According to the Daily News, drivers parking at the Thomas Jefferson Houses in East Harlem will see a 353% parking rate hike, which will go into effect next month. The 150 parking spots located outside the development at 115 St., will go from $75 per month to $340 for residents. Seniors and non-tenants will also pay massive increases for parking- from $60 to $272 for seniors, and from $150 to $650 for non-tenants. The New York City Housing Authority already earns $2.4 million from its parking lots per year, and expects that amount to reach $3.4 million once all of its lots are converted to reserved spaces. 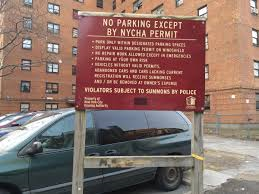 The NYCHA spokeswoman Zodet Negron says, “The revenue generated from the parking fees is and will be used to cover the rising maintenance costs of the development."